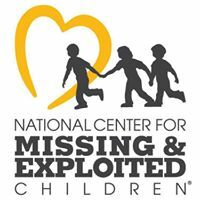 Spotlight Interview with Kathy Gust, Program Director for the National Center for Missing & Exploited Children’s Buffalo Office. Interview done by Tara Erwin for Totally Buffalo. Q: What’s something you’re really proud of in regard to your work with NCMEC? A: As a nonprofit, we work very lean…but last year we provided prevention education to over 54,000 people in WNY. Not bad, considering we only have one full-time educator. I help with presenting programs as as much as possible in addition to my other responsibilities. Q: What’s something you view as a challenge NCMEC has to overcome? A: Buffalo is one of the most giving communities in the country, but people here like to know their money is helping directly in their community. Although we have the word “National’ in our name, the Buffalo Office of NCMEC is self-funded, which means all of the money raised here stays here. I think it’s important for people to understand that. Their money isn’t being sent to our headquarters in Virginia; it stays right here in WNY to educate our children, parents, teachers and law enforcement officials. Q: Ever since we were kids the term “Stranger Danger” has been drummed into our heads. Now as parents we feel the need to teach our children about it, but you say that’s not necessarily the case. Can you clarify that? What should we be teaching our kids about strangers? A: Children do not understand the concept of a stranger. Many believe strangers are mean, ugly people—so the nice man asking for help to find his lost puppy? Not a stranger. Children also learn that some strangers–like store clerks, police officers, or parents with children–are helpful. It may be hard for them to understand the difference between strangers who could hurt them and strangers who may help them. them about certain types of people. Instead, parents should teach their children how to identify and respond to threatening situations. Q: It’s the Holiday Season! Things are always crazy this time of year when it comes to busy shopping malls, community events and busy airports. Can you share some tips on how parents can help keep their kids safe during all of the activities and celebrations? A: In addition to our four safety rules (check first, take a friend, tell people no and tell a trusted adult), it’s important to teach our children who is safe for them to approach if they do get separated. NCMEC’s policy is to teach children to look for a police officer or security guard. If they are in a store, go to the registers or look for someone with a name tag or store “uniform,” and if all else fails, they should look for a mother with smaller children to ask for help. It’s also important for parents to teach their children their first and last name as young as possible. Knowing mom and dad’s name and/or cell number is also important when a child gets separated. When my boys were little we used to sing a song: “My name is Jordan Gust and this is where I live…1234 Any Street Amherst, New York USA.” We still joke that when my older son went in for kindergarten screening the only way he could recite his full address was to sing the song. Q: Kids these days are so attune to technology, it’s a little scary. How can parents help them safely navigate the world of online gaming, chat rooms, social media and mobile technology? – TAKE CHARGE – Set some ground rules like when your kids can go online, what sites they can visit and how many texts they can send a month, so everyone is on the same page. – MONITOR – If you can see what your kids are doing, they’re less likely to get in trouble. Installing CIA-level monitoring software on your kids’ computers does not guarantee they’ll be safe online. Technology can’t replace your time and attention as a parent. – COMMUNICATE – Talk to your kids; they’re not as mysterious as you think. If you have kids who like to play video or computer games, ask if you can play, too. When you respect their interests, they’re more likely to respect your rules. Q: Speaking of technology, is there a way parents can use it to their advantage? Are there any online resources specifically geared toward teaching kids about how to avoid abduction and exploitation? resources for parents. We also developed a free child safety app available for Apple and Android devices called Safety Central. The app is designed to help parents and guardians protect their families and act quickly should their child go missing. Q: Does your family have a special holiday tradition you’d like to share? A: Every Christmas Eve we start celebrating in the afternoon when my dad and boys start to cook a fabulous dinner. We spend the night listening to music, eating and drinking together, and if we can hold my dad off until midnight, we open gifts. It’s my favorite day, seeing my boys and dad cook and laugh and just enjoy being together. A: Definitely pizza…I could eat it every single day!! A: Buffalo is my home. It’s where my roots are. It’s where my family is. I’ve done business in cities all over the country but find I’m always happy to return home where there is a strong sense of community and family. Buffalo is just such a wonderful giving community to be a part of and it’s so exciting to see the growth over the past few years. Buffalo will always be my home. For more information about the National Center for Missing and Exploited Children, visit www.missingkids.com. To find out more about the Buffalo Office, or to schedule a presentation for a school group, scout troop or other community organization, connect with the NCMEC’s Buffalo Office on Facebook or call (716) 842-6333.